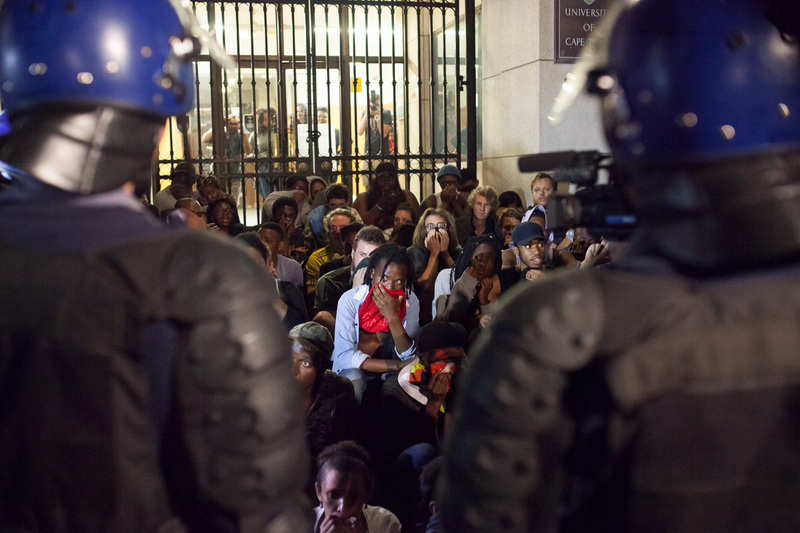 University of Cape Town (UCT) Students watch as protesters march to different parts of the campus during a university shut down. 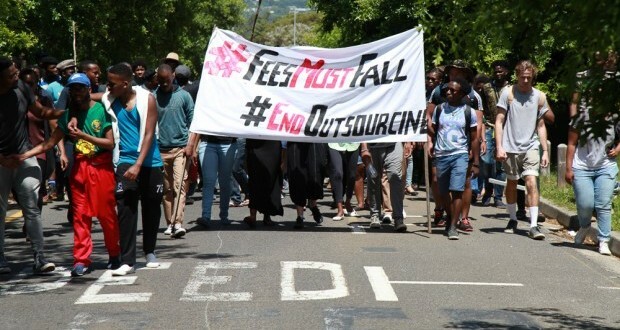 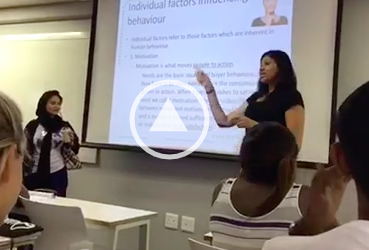 After classes at the University of Cape Town (UCT) were suspended on Monday following a protest against a proposed fee hike, protesters occupying the administrative building on the campus were arrested. 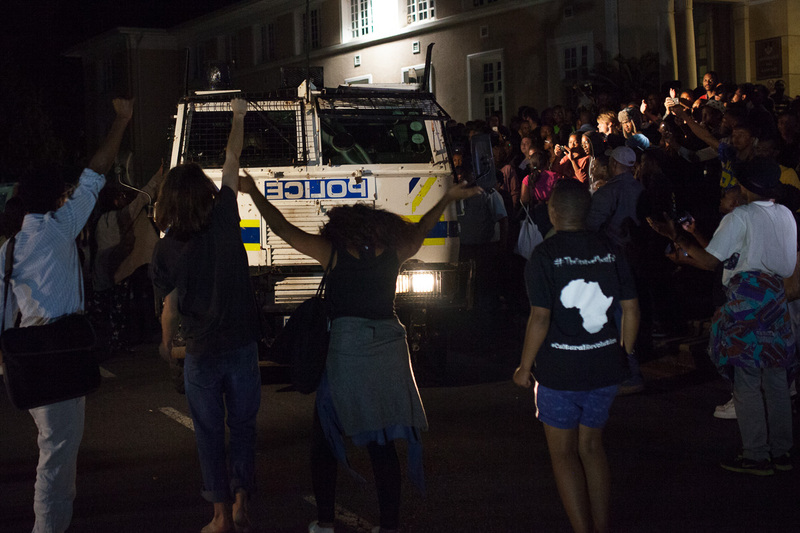 ASHRAF HENDRICKS captured these scenes. 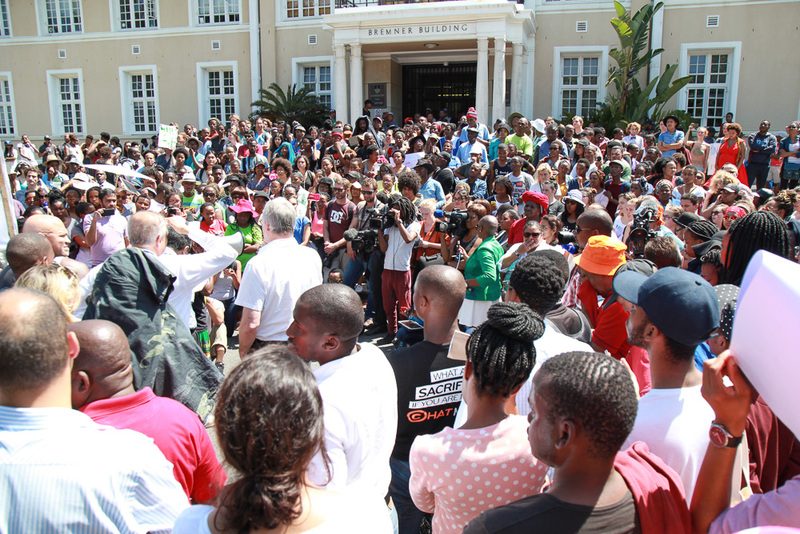 About 300 students gather outside the Bremner building to voice their demands to the UCT management. 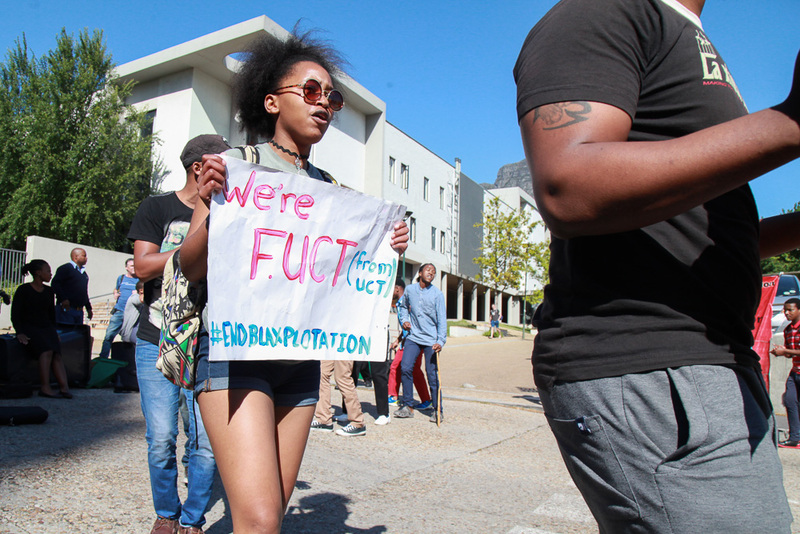 Some of the demands include the removal of the double digit increase of 10.3% in fees and they want campus workers to be paid a decent living wage. 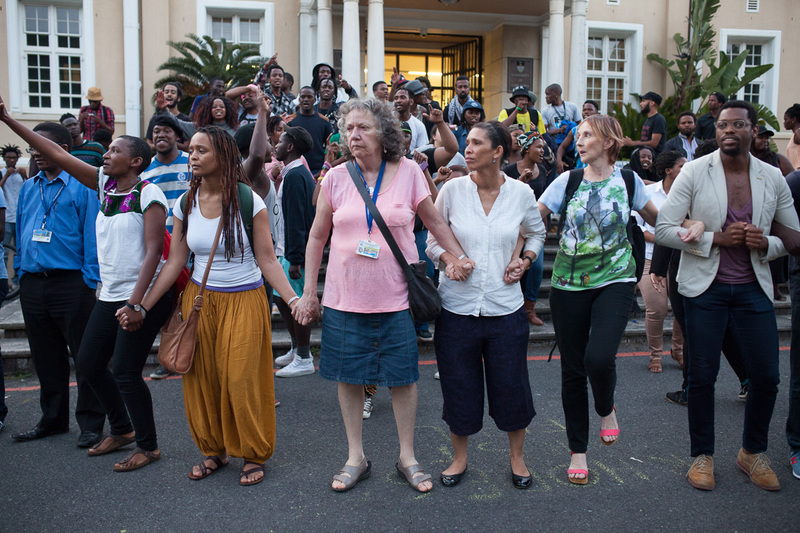 University of Cape Town (UCT) students sing and dance outside one of the numerous blockades during a university shut down. 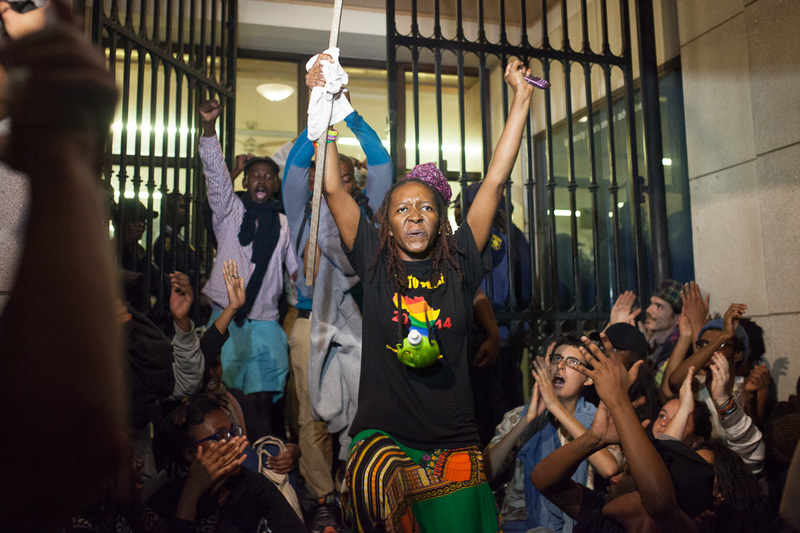 The university eventually asked students and lecturers to leave for the day. 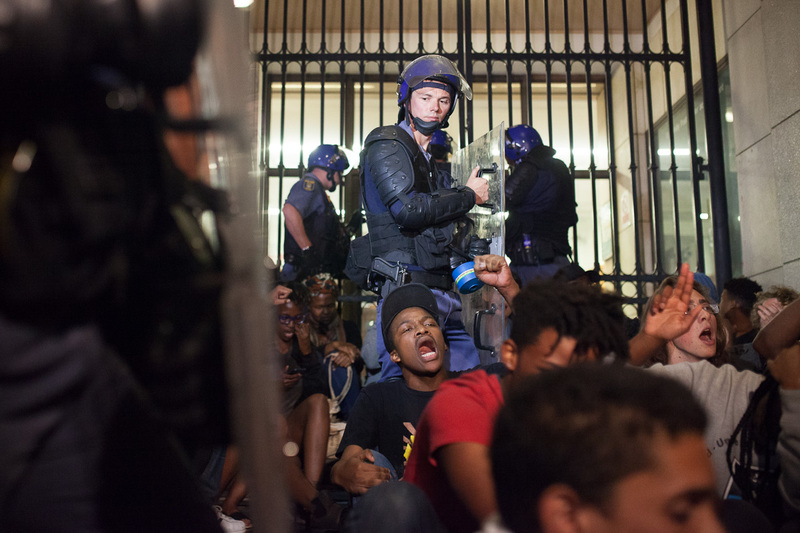 In defiance, protesters make a human chain and sing struggle songs around the Bremner building. 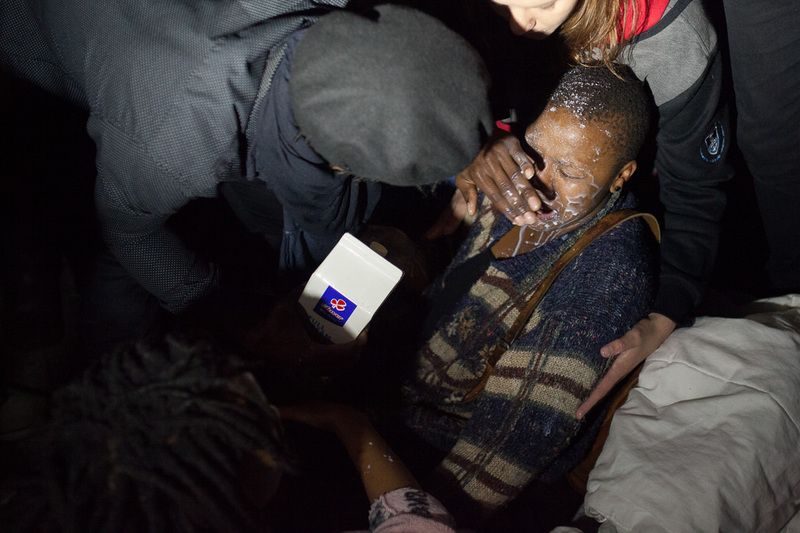 A student is injured after police fire stun grenades to disperse the crowd. 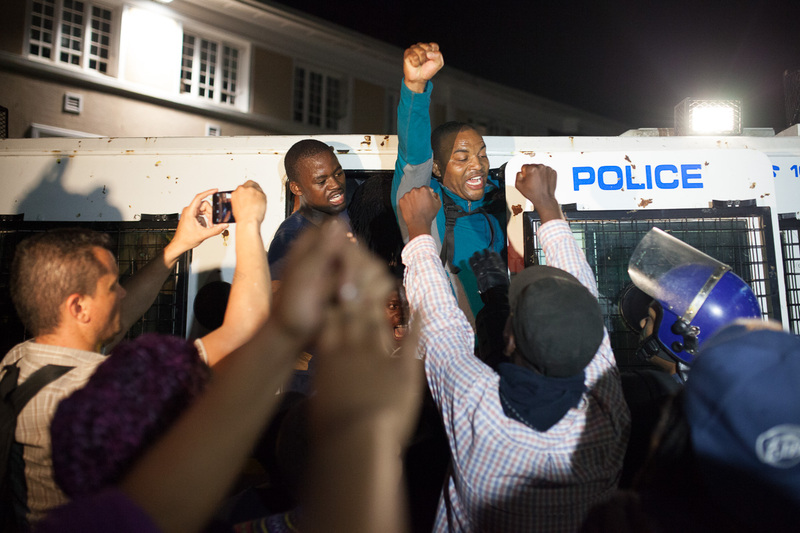 Students scream and sing from inside of a police van after being arrested for occupying the Bremner building.